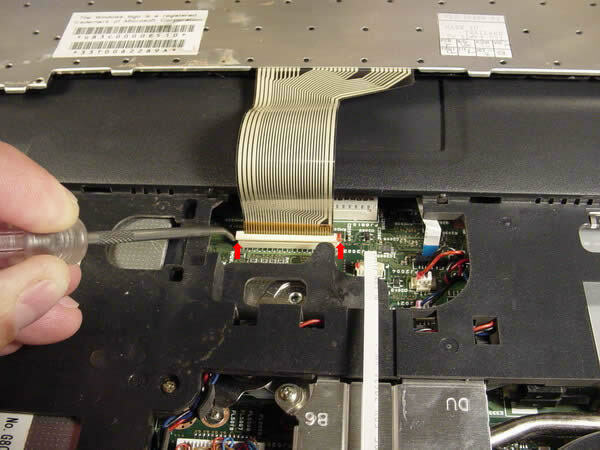 1) Did you ever successfully get the microdrive apart? If so, I would guess that removing those 3-pointed screws did NOT expose the actual platter and just showed you the circuit board. 2) I bought a USB drive the other day which has a 12GB Seagate drive inside, but it is just a 35 contact ZIP connector. My goal is to open my iPod mini and remove the 6GB Seagate drive that is inside and re-use the circuit board to connect the new 12GB drive's ZIP connector....if its the same connector. Just curious if you had any information from your experiment 2 years ago. I ended up not taking it apart. What's a ZIP connector? Do you have a photo to show me? The Microdrive comes in a CompactFlash form-factor with standard 50-pin CompactFlash connector. Sorry - I meant ZIF! Zero Insertion Force. It is the kind that you slide a hard plastic material into which has the contacts embedded inside the plastic material. Then you usually rotate of slide a small plastic piece down and it locks the connection. It is very low profile for small miniaturized applications. The one the little micro drive uses is a lot smaller and has 35 pins. I am not going to take it apart either. I think I finally figured out that Seagate makes 4, 5, 6, and 8 GB microdrives that have CF interface capabilities. But their latest (the 12GB) has a different type of IDE interface which without some circuitry will not do a CF interface like the other drives. I bought it on a whim thinking it might work (it was $100) so I am not that upset that I can't use it for my old ipod as I wanted to. Thanks for writing back. Let me know if this answers your questions. Oh, here are some pix of the connector inside the 12gb USB drive I bought. Should have included these in the first mail. As you can see, the drive itself is actually about 20% smaller than the CF form factor. The CF connector itself takes up the extra space on the 4, 5, 6, and 8 GB drives. This 12GB drive does not use any "bulky" connectors...instead it has a simple 35 pin ZIF connector which in this USB drive connects to a circuit board which handles the conversion to USB.